It's that time of year- kids are back to school and you need a reliable vehicle. The Arizona Used Cars experts have rounded up the top choices. With the summer suddenly coming to an end, the early morning rush to get ready for school has come once again. As a parent, it’s important to have a vehicle that you can count on to get the kids off to school on time and safely. As a student, you want a car that’s fun and stylish. At Auto Action, we understand your wants and needs. To help you get the school year started off on the right foot, we have put together a list of the 10 best back-to-school cars for 2015. It’s important that your family car can comfortably fit the entire family, as well as extra room for luggage for when you take them on a family road trip. You also need a car you can rely on to get the kids to and from school, and after school activities without breaking down. Here are 5 cars you’ll want to look at when shopping for your next family car. The Kia Soul is one of the coolest hatchbacks on the market and also one of the most practical. With a low starting price of less than $16,000, you can find a great used Kia Soul at an extremely affordable price. An executive market analyst for Kelley Blue Book has named the Chevy Suburban as one of the roomiest, best family cars on the market. With a seating capacity of up to nine, this massive SUV has enough cargo room for baby gear and groceries, with space to spare.The Suburban’s third-row seats fold flat, and there’s nifty hidden storage under the cargo floor. The Honda CRV compact SUV has been crowned as the winner in the Best Fuel Efficiency category by Kelley Blue Book. It boasts 27 miles per gallon in the city and 34 on the highway. At an affordable price, you can comfortably fit your family of five for many family road trips to come. New or used, the Nissan Murano is definitely worth a look if you’re on the hunt for a midsize crossover with seating for five. It’s sophisticated appearance, stylish and comfortable interior and strong acceleration impresses many. The Chevrolet Traverse offers the best of both worlds: a minivan’s passenger and cargo capacity along with an SUV’s sheet metal.This Chevy isn’t the quickest or most refined pick in the larger crossover segment, but it excels when it comes to roominess and ride quality. If these attributes are important to you, the Chevrolet Traverse may be an ideal companion. For your young driver, you want a car that requires little maintenance costs, a small dent to your wallet, and last but not least, keeps your child safe. There is an overwhelming amount of new cars on the market today you have to choose from, that’s why we decided to make your search a little easier by narrowing down our best cars for new drivers. For the budget-conscious shopper with practical concerns, there’s the Nissan Versa Note. While certain rivals outshine it in handling and refinement, the Versa Note is a good choice for those seeking an extremely affordable hatchback that delivers in areas like comfort and versatility. Whether you want the familiar layout of a sedan or the flexibility of a hatch, Mazda has a Mazda3 that’ll fit your needs. The Mazda3 is tech-savvy, stylish and fun to drive, but it’s also fuel efficient and practical. It may not turn heads or have your teenager’s friends green with envy, but for what the Corolla lacks in excitement, it makes up for it for being one of the best cars for young drivers. It’s safe, relatively inexpensive and should get your teen through college and into that first job. The Ford Focus may not be a Mustang, but your teen will like it’s “thoroughly modern” design. Redesigned last year, its styling is up-to-date. It has also earned points as one of the best cars for teenagers for its technology features as well as a cabin that is both well-made and comfortable. Rated a “large” car by the EPA, the Hyundai Sonata provides some extra bulk that will help keep your teen safe if they were to get into a crash, making it one of our choices as one of the best cars for teenagers. We know there is a lot to think about and consider when buying your next new car. Whether it’s a new family car or your teen’s first car, there are a variety of factors that come into play depending on your wants and needs. 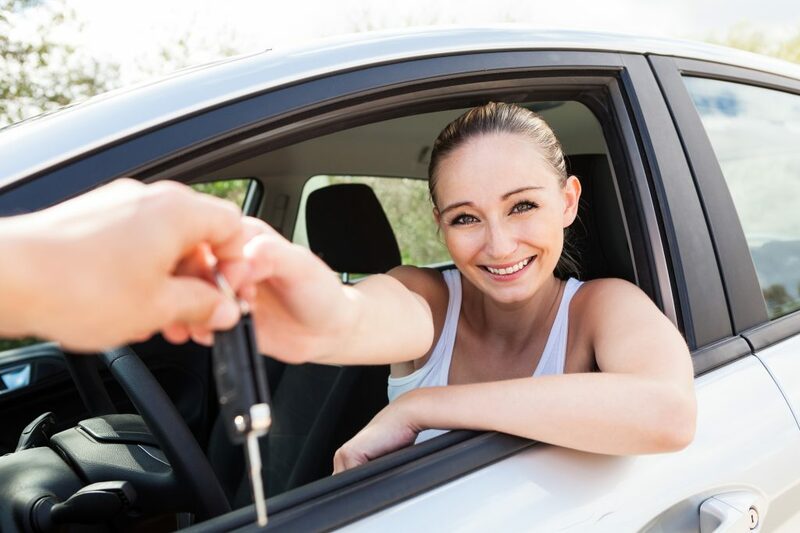 With a list this of top Arizona used cars for families and young drivers, we hope to make the car shopping experience a little easier for you. For more information on how Auto Action can help you find the perfect next car for you, visit us online or give us a call at 602-345-800, today!